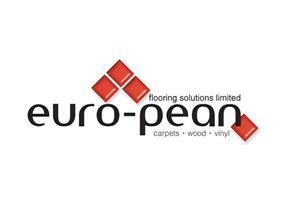 Euro-Pean Flooring Solutions Ltd - Carpets/Flooring based in Broadbridge Heath, West Sussex. Euro-Pean Flooring Solutions is a specialist carpet fitter and flooring contractor offering a one stop complete design, specification, supply and installation service to both domestic and commercial customers across Sussex, Surrey, Kent and London. Being a family run business since our inception in 2008, we continue to build a reputation for flooring of the highest quality. Our passion is simply to do the job right. All domestic flooring works are undertaken, from carpet fitting through to beautiful Amtico kitchens, solid oak dining rooms and bespoke stair runners. Customers receive a free home visit with free under floor survey, plus free loan of floor sample books and/or materials, and free no obligation quotation (with everything included in the price). Competitiveness against other flooring installers is assured with any genuine like for like flooring quote matched, subject to site survey and conditions. Our vast experience in flooring management and sub-floor preparation establishes us as a one stop shop for all commercial flooring and developer needs. With free on-site sub-floor surveys and quotation services at no obligation, we also have the expertise to offer full flooring project management, estimating and quantifying services, and independent flooring advice and assessment. Our works include both small and large scale commercial flooring projects and we known to be school flooring specialists.